Assassin’s Creed Origins was one of last year’s best games, no doubt. Set in ancient Egypt, the game not only boasted superb graphics, characters and story, but also offered the best Assassin’s Creed gameplay since 2013’s fantastic Assassin’s Creed IV: Black Flag game. And Ubisoft has been adding more content to the game this year, releasing the The Hidden Ones DLC (a major expansion for the game) and is now planning to put out another expansion titled “Curse of the Pharaohs”. What’s interesting about this DLC is that it features a separate story set in Thebes. This region of Egypt is home to famous monuments like the Temple of Luxor, while it is also the location of the legendary Valley of Kings. 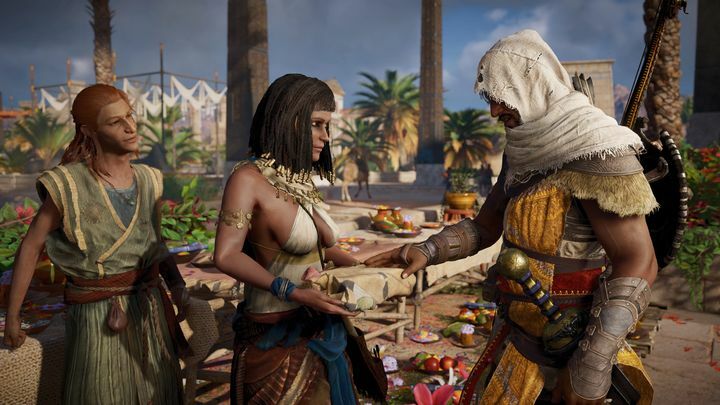 You see, robbers have been desecrating the tombs of the Pharaohs, something which has caused the angry fellas to return from the afterlife and wreak havoc in ancient Egypt… So it is up to Assassin’s Creed Origin’s hero Bayek to put down the restless Pharaohs in Thebes, while players will also have to deal with mythological creatures like giant scorpions in this expansion too. This expansion is included with the game’s season pass (or can be had individually for $19.99 US dollars), as Ubisoft explains on its website, and is certainly something to look forward to for those who enjoyed Assassin’s Creed Origins this year. Here’s hoping it makes a decent conclusion to one of 2017’s best games, then, while Assassin’s Creed fans can also look forward to the Assassin’s Creed Rogue remaster, which is slated for release later next month. Note: Assassin’s Creed Origins: Curse of the Pharaohs will be released on March 13, 2018. Available on PS4, Xbox One and PC.